Denton Pest Control does more than simply spray your house, plug mouse entry points, and eliminate your pests. We make it easy for home owners by having friendly, knowledgeable technicians that can work around your busy schedule. This takes not only a keen eye for detail, but also extensive knowledge of the biology and habits of bugs. Denton Pest Control employs only the most well versed, well rounded, and experienced pest control technicians in the business. You will absolutely appreciate the work we do for you, whether it's getting rid of your mouse issue, eliminating that big wasp nest, or visiting every three months for your quarterly maintenance program. We are so thankful for your help! We can always trust your company to come in and take care of things, even when we aren’t home! Thanks so much! They accommodated my schedule. The tech was polite and knowledgeable. Fair prices. Good Service. Courteous service people. No pests. What's not to like. Very fast response, very fair prices. Great service, would highly recommend. I have a wasp nest inside my eaves, by my front door. I called Denton to exterminate them. My husband is allergic, so we needed someone to take care of this quickly. Tim arrived the next afternoon and sprayed the area with two chemicals. Cleaned up, and left. The job took 20 minutes. I paid $125 cash, and he assured me I would be emailed a receipt as soon as possible. Tim said to give the insecticides a few days to do its job, and to call him if there were any problems. The wasps were still moving in and out of the nest. I have left two polite messages to contact me. No return call and no receipt was given. I has been almost a full week now. I do not recommend Denton because their follow up care is non-existent, and a week later we still have wasps by our front door. I gave two stars because he was prompt and polite, otherwise Denton would receive one star. Denton Pest control proves that customer service isn’t dead. They do exactly what they say they will, on time, and with tremendous value. This is the exact opposite experience from the big guys in this industry. If your issue is challenging or unique, stop searching now and call Denton, they won’t give up on you. They have earned our loyalty as customers. Always timely and professional. Recommended to friends and neighbors. We get ant every spring and Denton come out and treats our house and we don’t get anymore ant the rest of the year. I’m very happy with Denton and I would not hesitate to recommend them. Denton is the best around. And, this is after being through 3 other companies. Denton is the only company I have used who sprays quickly, properly and effectively. There is a noticeable difference on my property, compared to the competition. In addition to being a solid company, well worth the price... The owner is a very friendly guy, who's employees speak highly of him. All of his representatives that have been to the house to spray have been friendly, and kind and have always been cool with following my lead in the house. Prompt and effective service, I would recommend! Haven’t seen anymore Carpenter Bees since your visit! Thanks, ON time, efficient, and pleasant!!! Thanks Again! Friendly, effective, and prompt service! Reasonably priced too! We’ve been very pleased with the work DPC has done for us in the 2+ years. Very knowledgeable and easy to work with. Denton's service is impeccable. They are friendly, knowledgeable, and the prices are fair. Highly recommended. Great service, the tech asked and then listened to our concerns and then addressed them. They are through and efficient. Carl and his staff are amazing. They always call ahead and ask if there's any specific issues that need to be treated as well as arrive timely! Shows up on time and have effectively eliminated the ant problem that I was experiencing. Great to work with. Got right back to me and took care of job immediately. Denton Pest Control, is a very reliable and professional company! I would use them all the time. Timely and thorough bee nest removal service. I hired Carl after receiving a referral from two different neighbors. He's done a great job for us too! 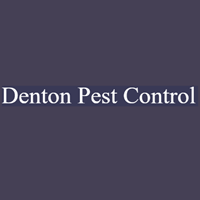 The representatives at Denton Pest Control are professional, reasonable and accomidating. I've used the big name exterminators beforre and what they lack is the personal touch. Denton Pest Control is top notch! Great work! Fast, reliable and knowledgeable. Did a great job! Denton Pest Control did a great job eliminating the mosquito population in, and around our home. We live in an area that has many shrubs, bushes, and trees, and the mosquito's are normally everywhere.. When Denton was done spraying, it was a night and day difference. I highly recommend them for any particular type of insect control you may be looking for! Carl is easy to work with and he really cares about his customers and solving their pest issues. We have little pavement ants at our business, and we've had carpenter bees at our house. His rates are fair and he is very accommodating to our schedules.